SuretyGroup.com writes surety bonds for the citrus industry. Every time you fill your glass with Florida Sunshine — otherwise known as Orange Juice — you are supporting a multi-billion-dollar industry in Florida. Citrus farmers, dealers and retailers work together so you can enjoy fresh oranges, grapefruit and other Florida citrus fruits in grocery stores and restaurants any time you like. There are over 8,000 citrus growers in Florida. Florida’s Department of Agriculture and Consumer Services wants to make sure that all fruit producers are protected from deceptive practices. They require citrus fruit dealers to hold a surety bond, which assures they will be in compliance with all contracts with citrus growers or other citrus dealers. The amount of the Florida Citrus Fruit Dealer Bond is mainly based on the number of boxes the dealer handles during the term of their license. If the dealer handles more boxes than they estimated, it is their responsibility to notify the Department of Agriculture and Consumer Services and have the bond amount increased. Growers who sell directly to consumers do not need to be bonded, but all others who purchase fruit from growers for resale must hold a surety bond. $1000 for each additional 20,000 boxes or fraction thereof in excess of 20,000 boxes, with a maximum of $100,000. 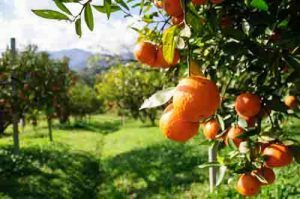 If you are a Florida Citrus Dealer and need a Surety Bond, you must purchase it from a Surety through a licensed agent, such as SuretyGroup.com.